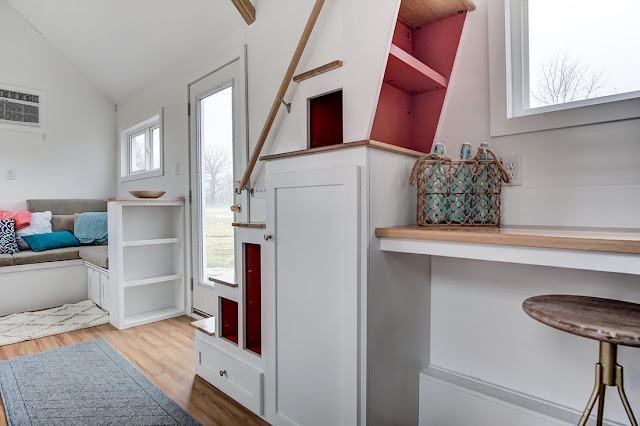 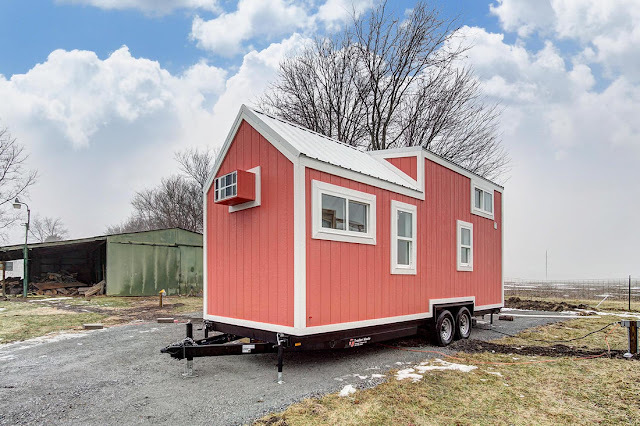 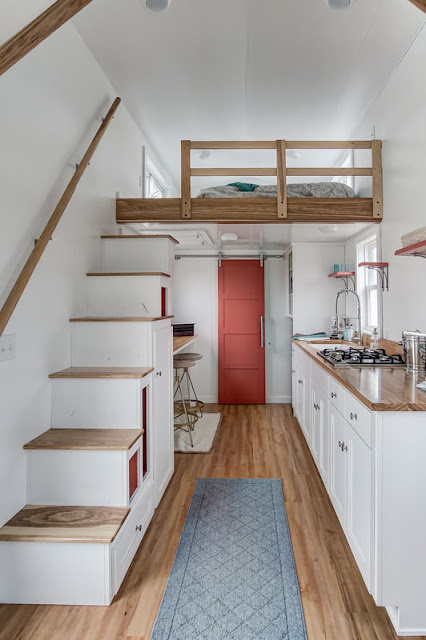 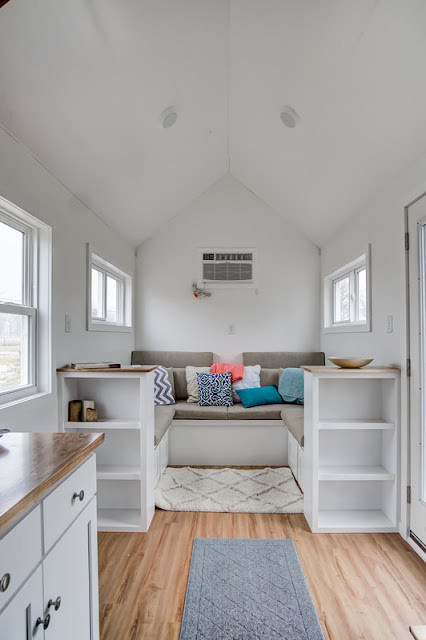 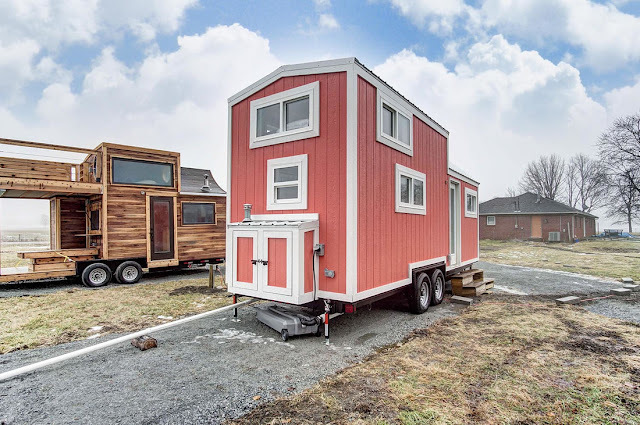 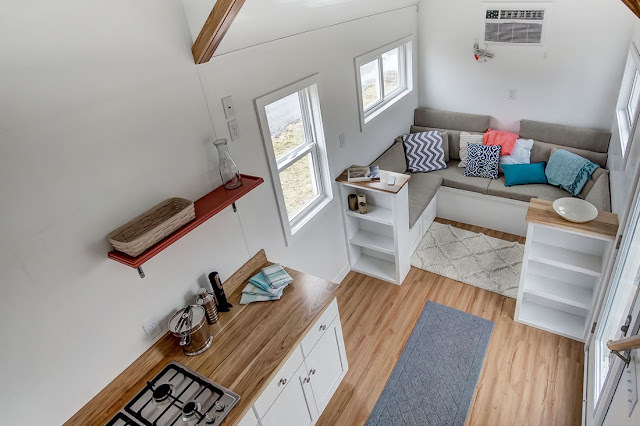 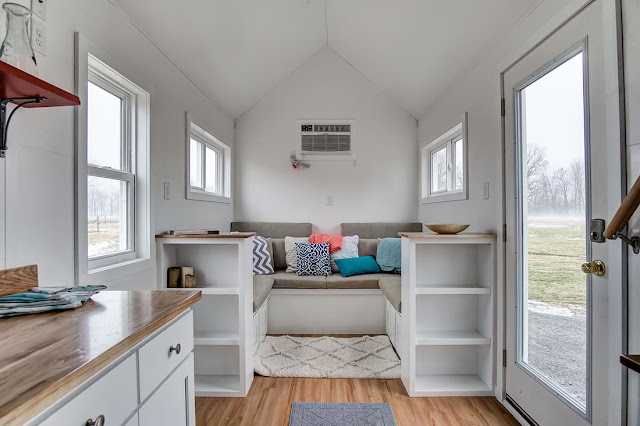 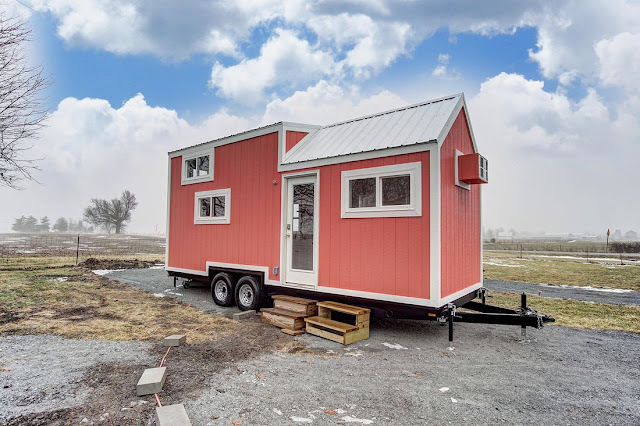 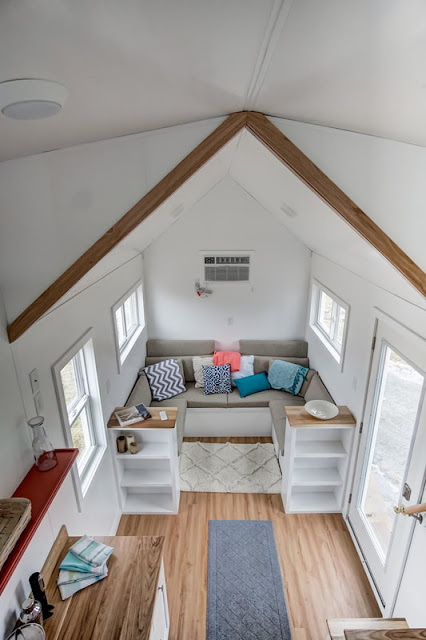 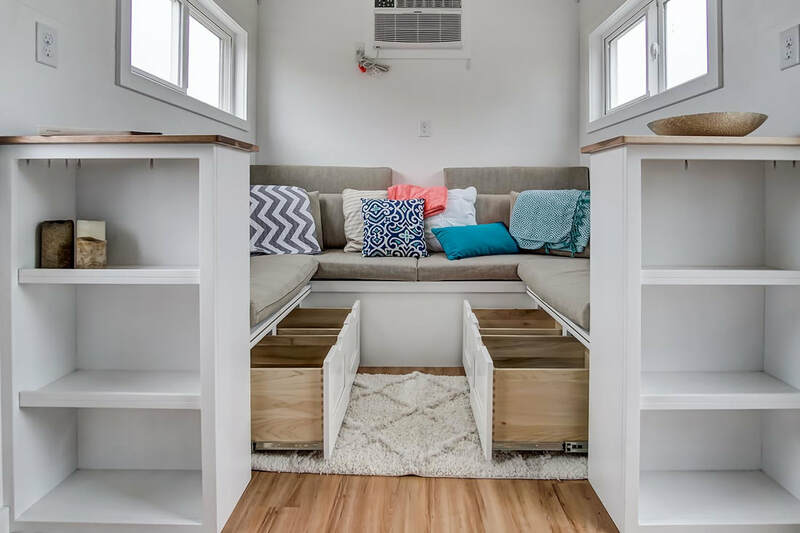 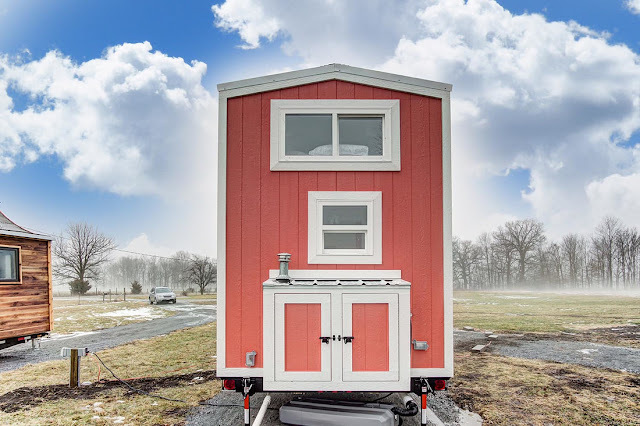 Try out tiny living in style with Modern Tiny Living's "Poppy" model! 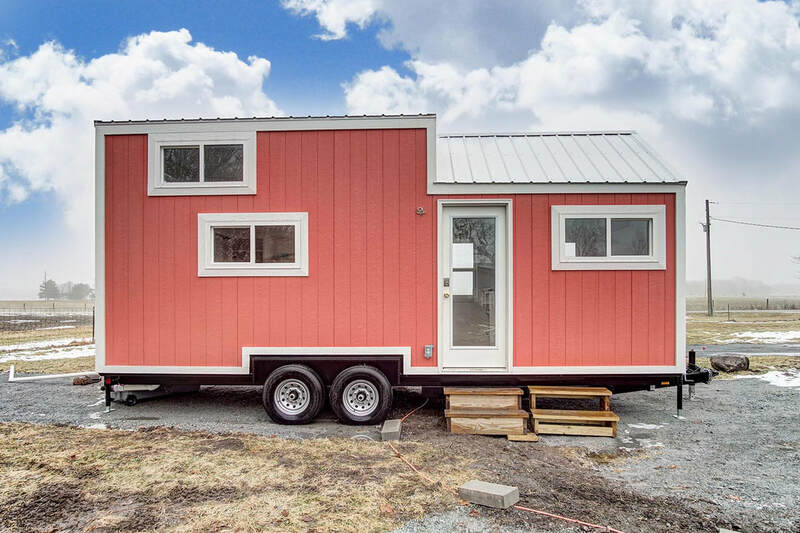 The home is currently available for rent in Tennesee on Try It Tiny. 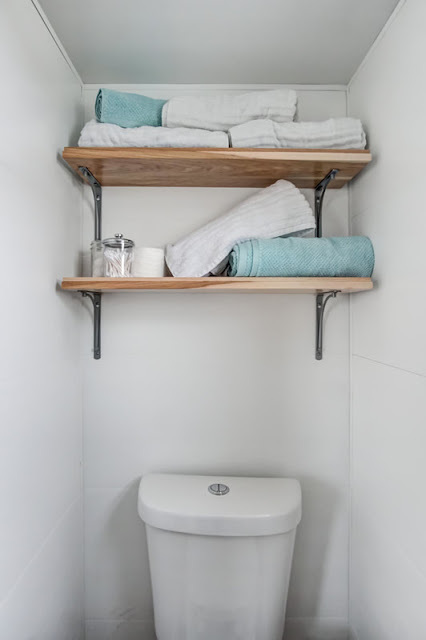 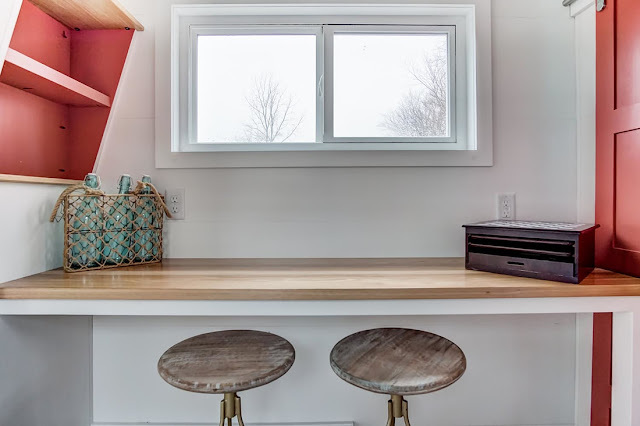 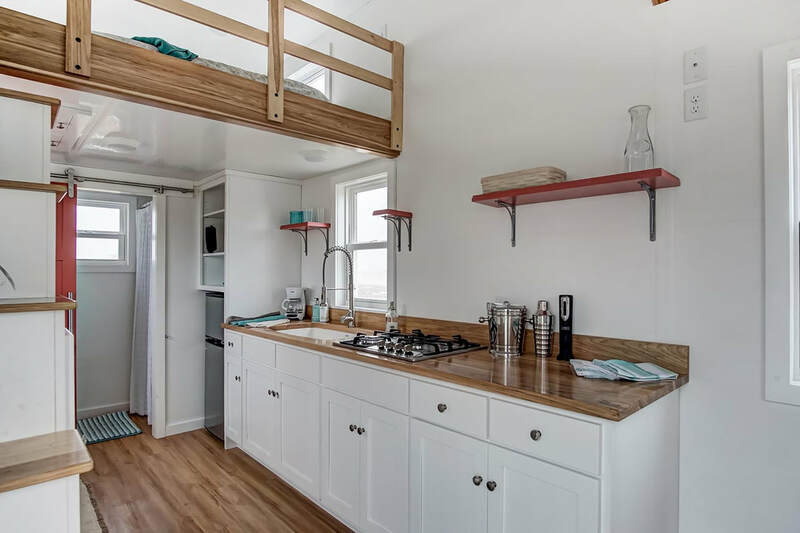 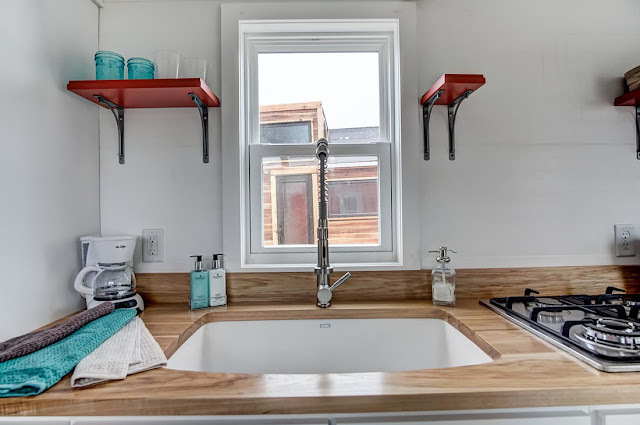 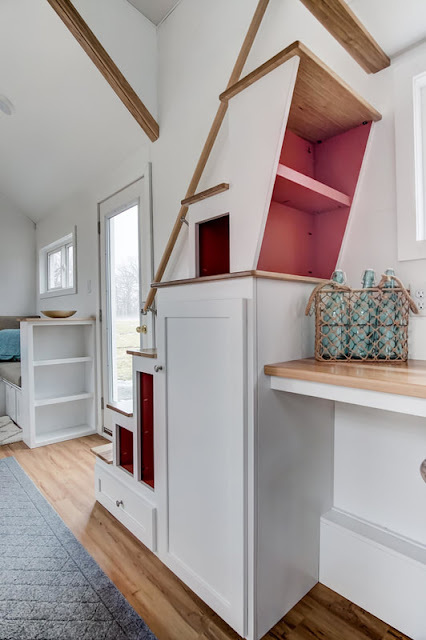 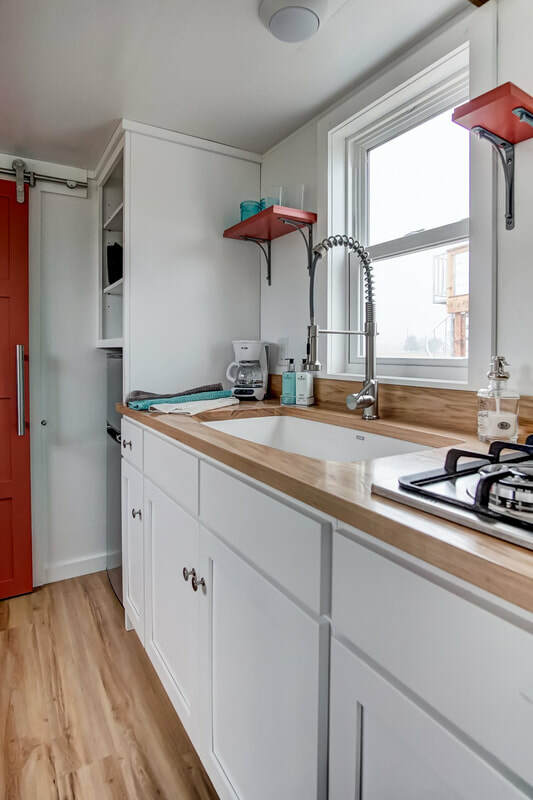 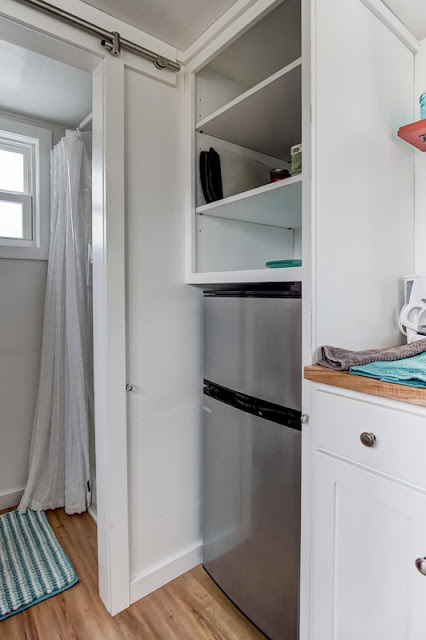 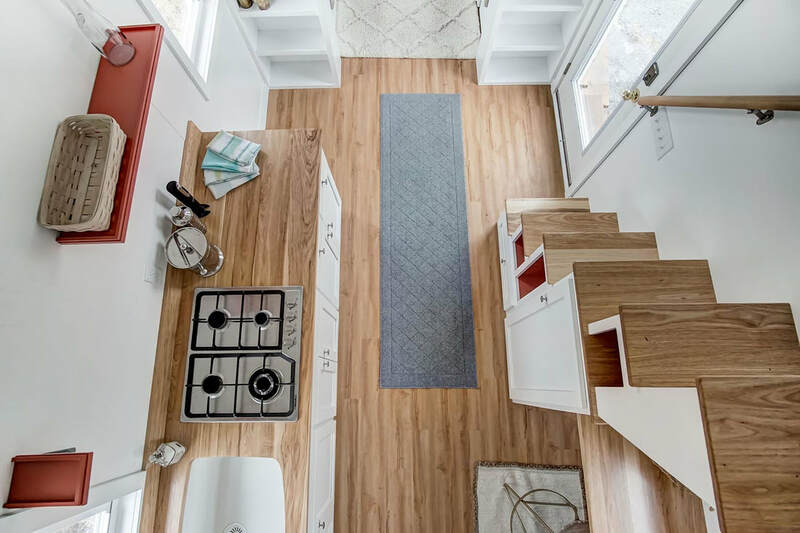 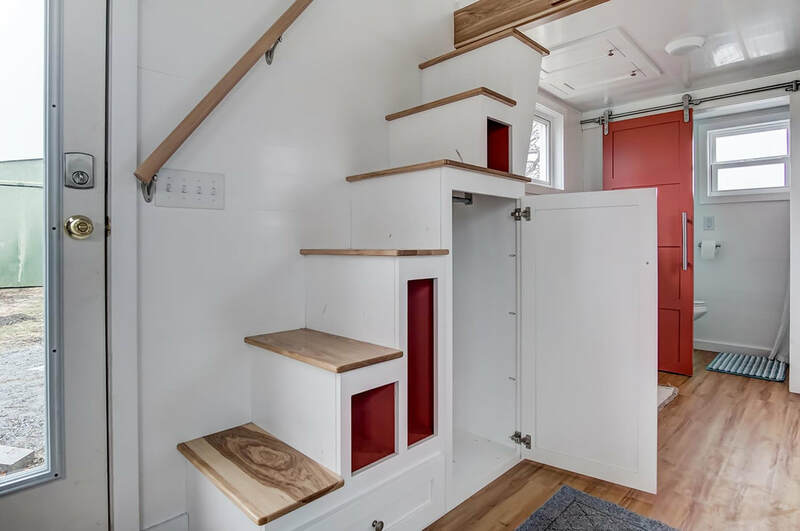 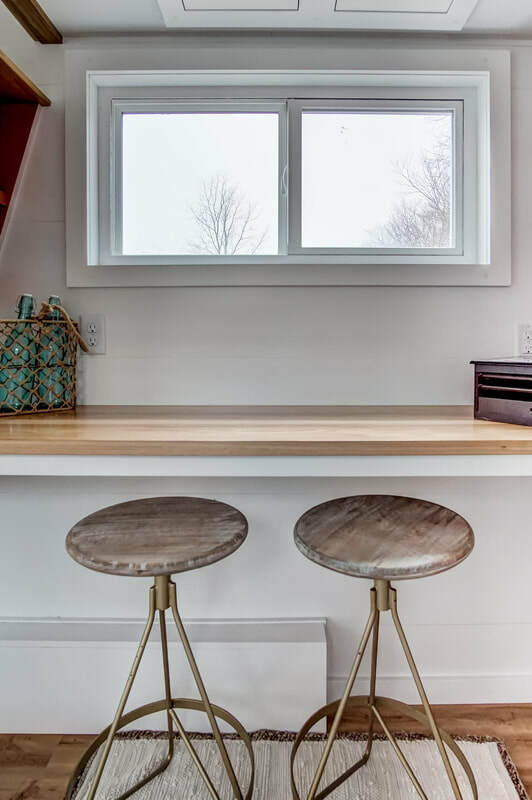 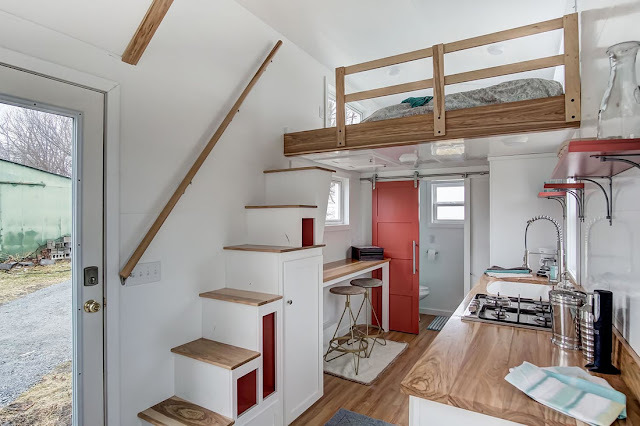 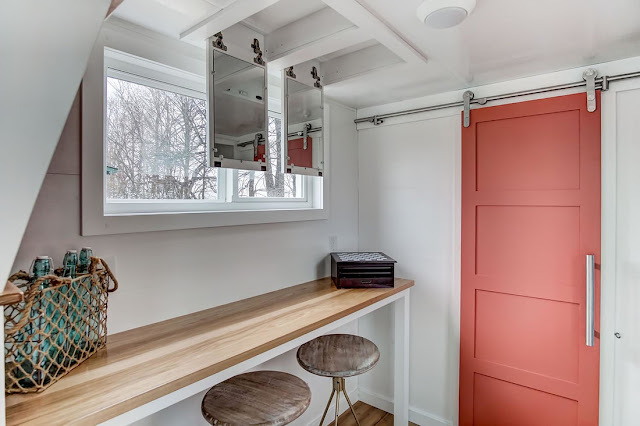 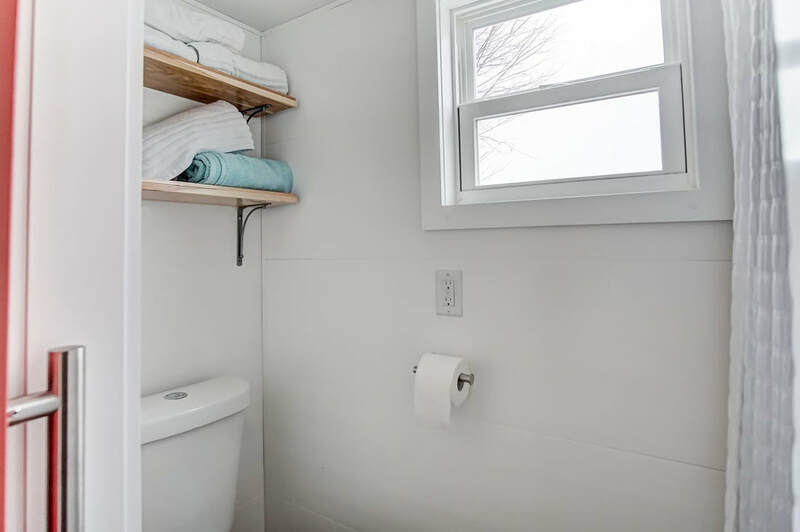 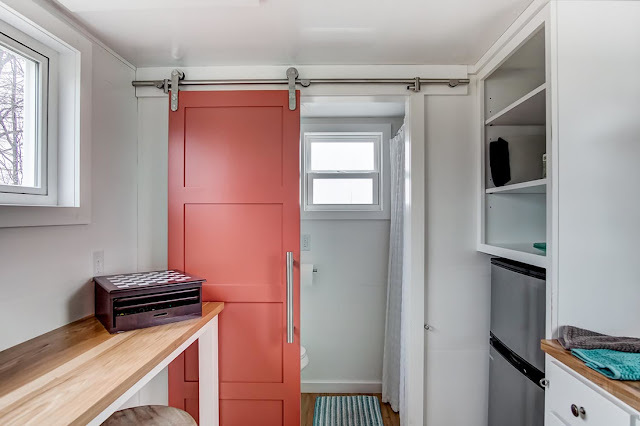 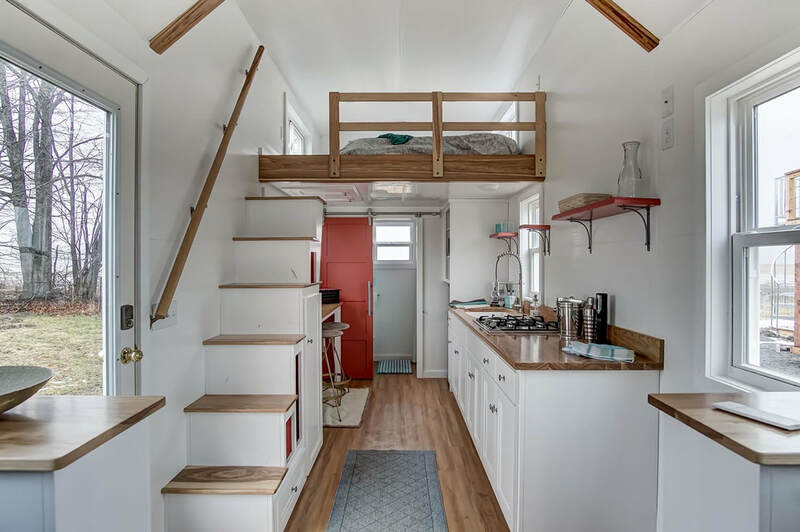 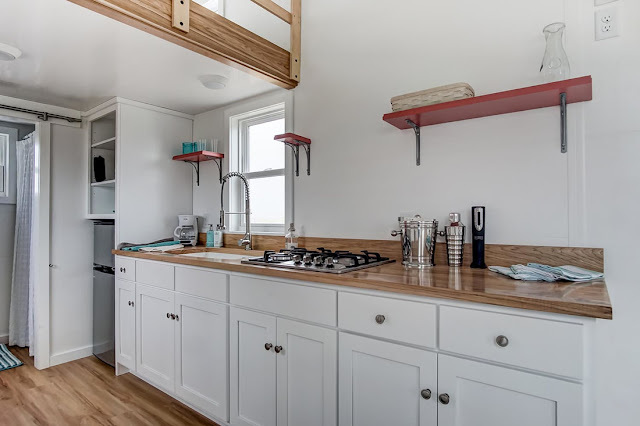 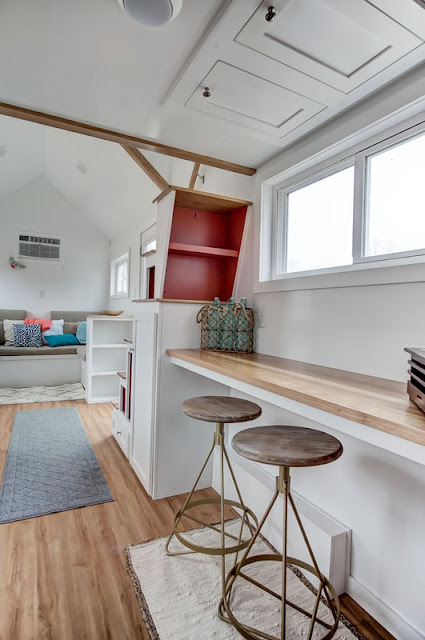 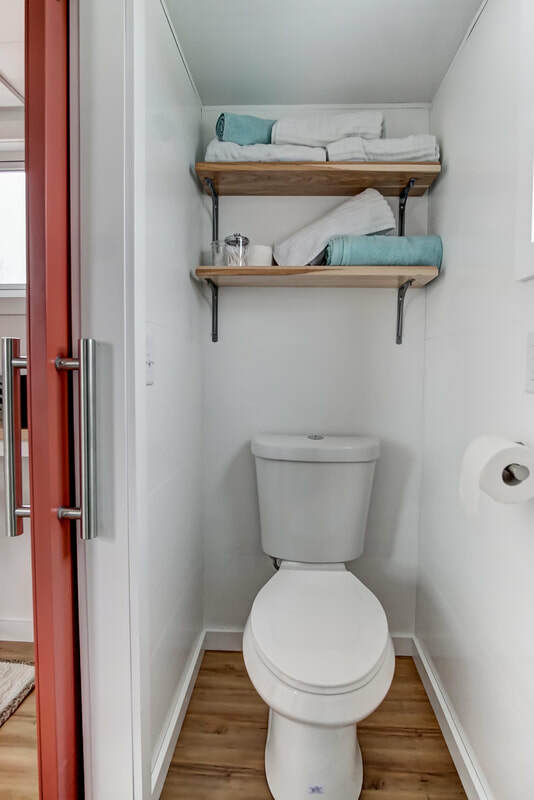 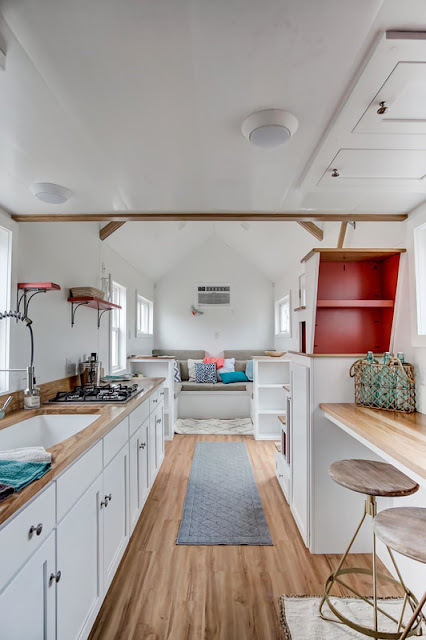 Built by Modern Tiny Living, it's based on the company's Kokosing model, but with with a few design modifications to better suit a rental unit. 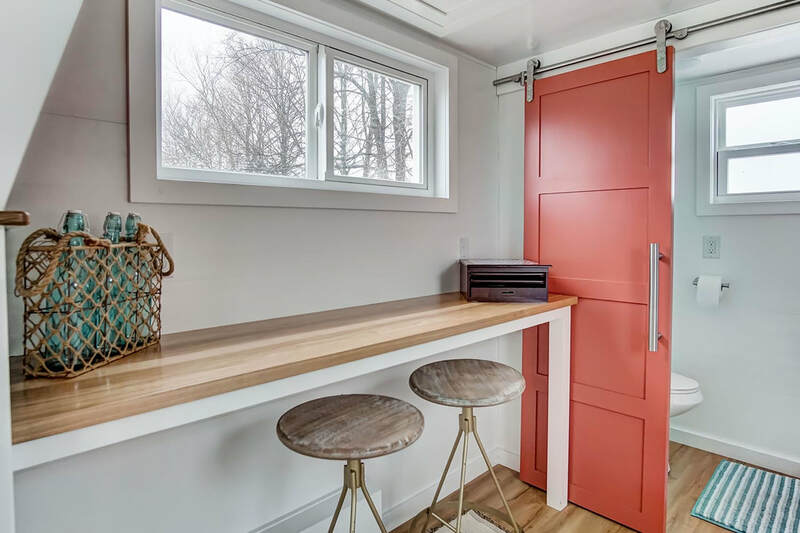 Poppy's exterior is clad in verticle smart siding with a steel metal roof. Inside is bright, minimal interior with everything you need to live comfortably. 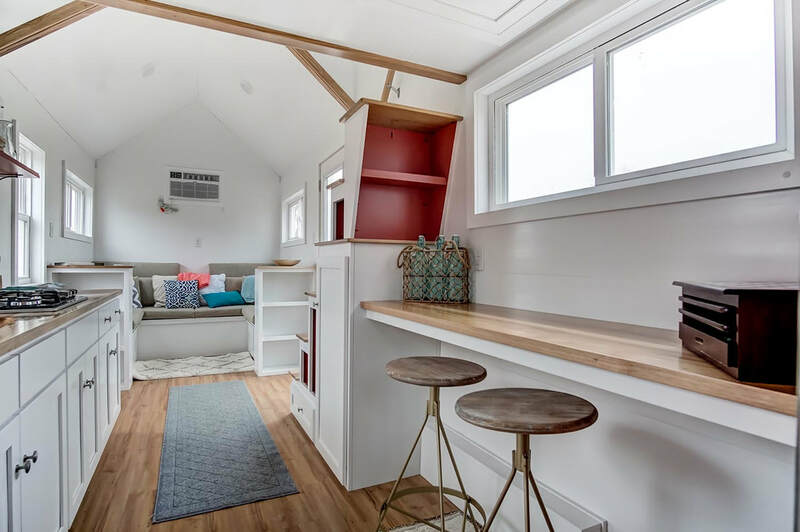 There's a living room with a built-in sofa and bookshelves. 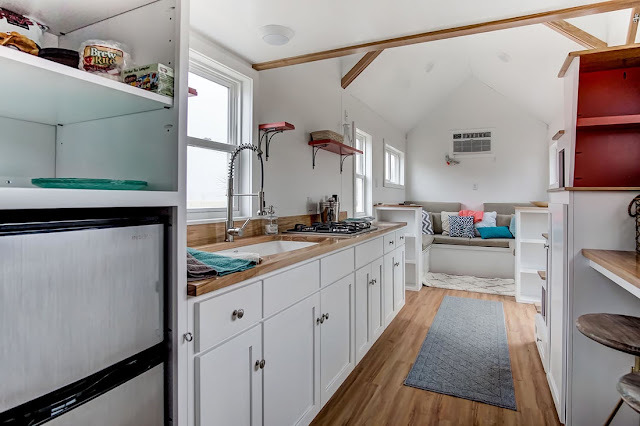 The kitchen comes equipped with beautiful oak countertops, a four-burner cooktop, a fridge/freezer, and a washer/dryer unit. 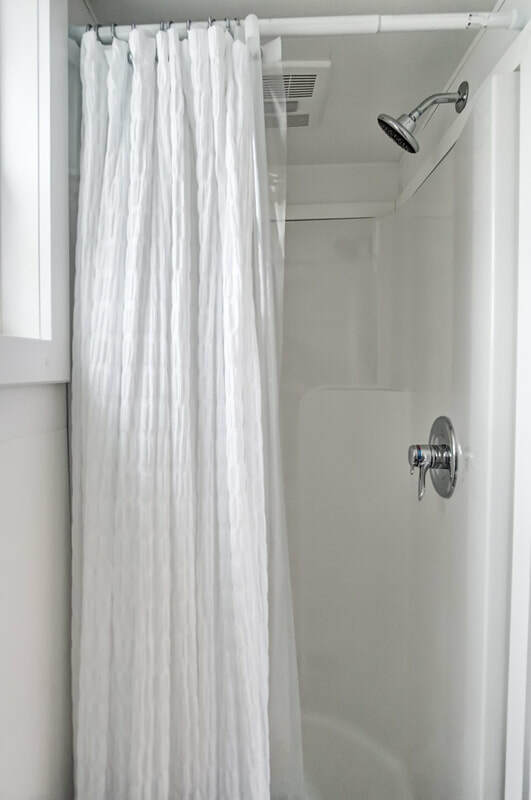 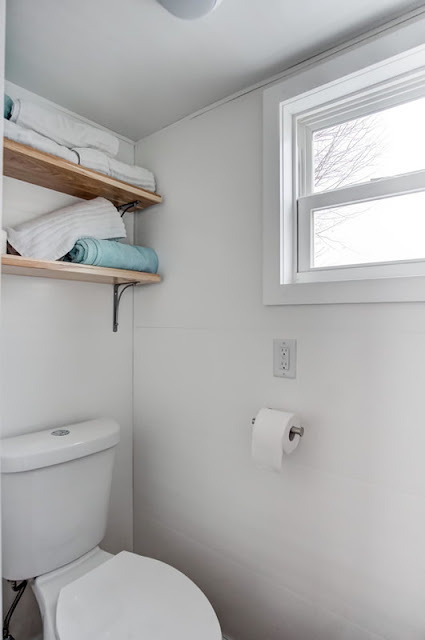 There's also a bathroom with a 32" x 32" drop-in shower and a composting toilet. 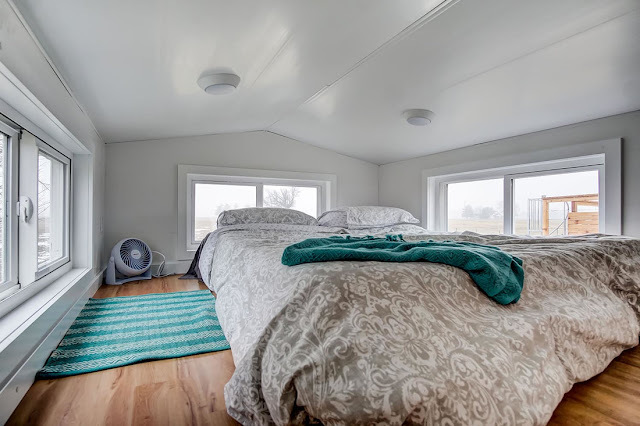 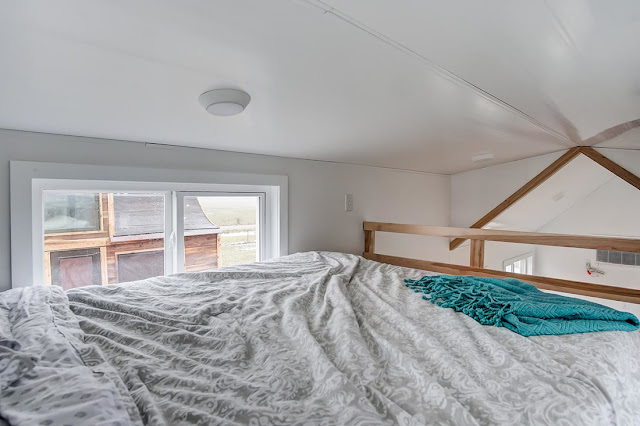 Upstairs, in the home's loft area, is a cozy bedroom with a queen-sized bed. The home measures 24' x 8.5' and is priced, as shown, for $56,000!